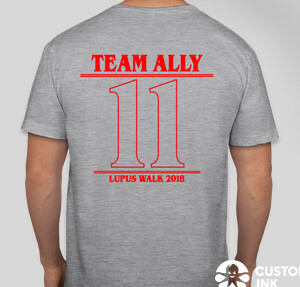 The purchase of a Team Ally shirt includes the shirt and a donation to the Lupus Foundation of America. Please do not forget to join our team on Sunday, May 6th! For Event Info please go to helloally.com.